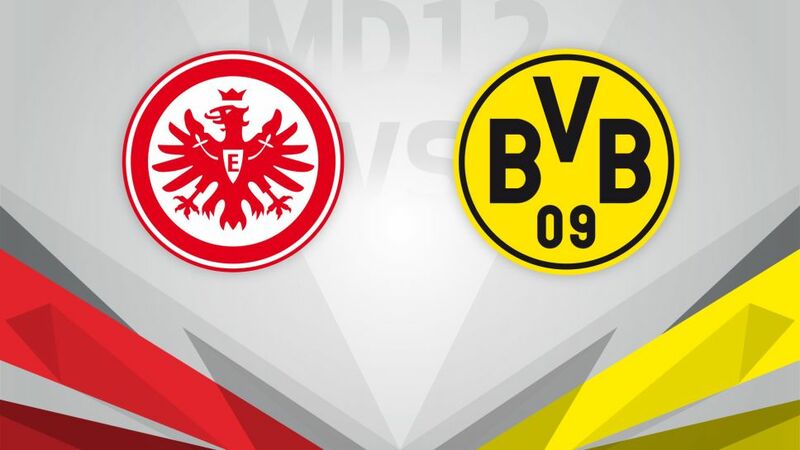 Eintracht Frankfurt welcome Borussia Dortmund to the Commerzbank Arena on Saturday 26 November (kick-off 15:30CET/14:30GMT) with both sides riding high on an excellent run of form. The hosts are unbeaten in their last five outings, thanks to a spirited comeback against SV Werder Bremen on Matchday 11 where all three points were clinched in dramatic style by a sublime winner from 18-year-old debutant Aymane Barkok. Niko Kovac’s side are a tough nut to crack, especially at home where they have yet to lose, and they will be looking to extend their fine run to cement their place in the European qualification spots. Five games without defeat have seen Dortmund make a move up the table into third place before Matchday 12, with a gutsy display against FC Bayern München last time out clinching a first win over their perennial title rivals since April 2014. Coach Thomas Tuchel could have a selection dilemma for the trip to Frankfurt thanks to Marco Reus’ outstanding return to action from injury. Prevented from playing in Der Klassiker by a heel problem, Reus showed no ill effects from that or the groin strain that had sidelined him for months by grabbing a hat-trick in the astonishing 8-4 win over Legia Warszawa on Tuesday.